This isn’t the first time I’ve written about my love for Pentatonix, and it probably won’t be the last. Pentatonix (PTX for short) is a five-person acapella group that have become hugely popular, having released nine studio albums (not including singles that aren’t on their own albums), four of which are Christmas albums. 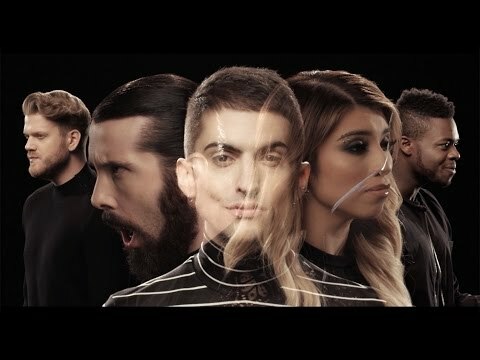 Four of the original five members of the group are still together, who are Scott Hoying (baritone), Kirstin Maldonado (soprano), Mitch Grassi (tenor), and Kevin Olusula (beat-boxer). The group’s original bass was Avi Kaplan, who has moved on to doing his own music, and was replaced by Matt Sallee. They group creates stunning harmonies and rhythms that change the style of the songs that they cover, and they’ve also released original songs to go alongside their covers. 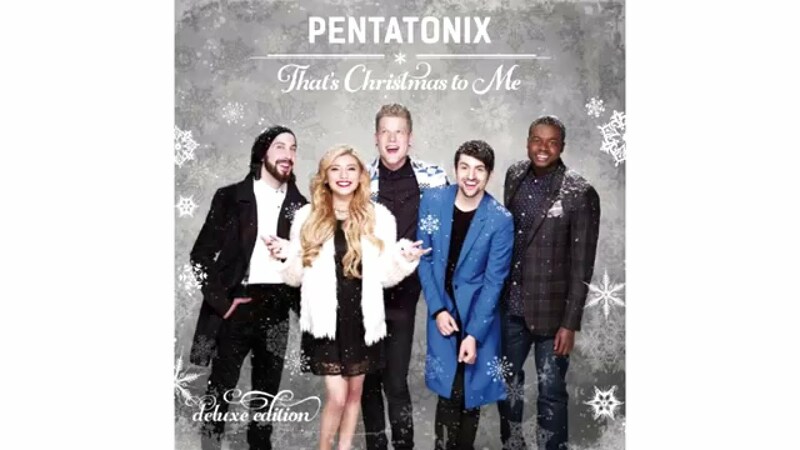 One of the reasons that PTX keeps releasing Christmas albums is because they’re just so good at them! Many Christmas songs tend to be slow and meaningful, and they often get tiring to listen to because of their repetitiveness. Pentatonix has a talent for taking traditional songs and changing them up, making them edgy or upbeat. Since it’s officially that time of year, here are some of my favorite PTX Christmas songs that you can check out when you want some new Christmas music! When I think of the traditional versions of this song, it’s often slow and full of choirs that I can picture caroling up and down the street. PTX turns this song into something edgy and puts it into a minor key full of harmonies that give me chills. Each member of the group contributes stunning vocals, and Kevin’s beatboxing is totally stunning - I find myself listening to just him, wondering how he makes so many sounds and beats so fast without making mistakes. The video is also super cool - watch it here! This song isn’t one that Pentatonix sped up a ton, but they create an intensity throughout the song that takes your breath away. There are soft, quiet parts and strong crescendos added to gorgeous harmonies to make a totally new version of a popular classic. Watch the video here! This cover is so fun! It’s upbeat and happy right from the get-go, and includes a choir to make a beautifully happy and harmonized chorus at the end. Watch and listen to it here! If you or someone you know doesn’t really understand what acapella is, this is the song to listen to. There aren’t any words, but the group takes this classic composition and makes it a little dark, while keeping it totally recognizable. It’s completely stunning and each member shows off their talents with amazing vocals and skills. Watch the super cool video here! This isn’t a Christmas song that I’d heard of before listening to the PTX version, and now I’m obsessed. The background is gorgeous harmonies and Mitch sings the melody, transitioning from low bass notes to high, falsetto soprano notes effortlessly and perfectly. This one doesn’t have a video, but listen to it here! When I first found out about this song, I watched the video over and over again. Along with their classic harmonies and perfect vocals, this song does something totally different - there’s no beatboxing. Instead, each member has their own rhythm that they create through clapping, snapping, patting their laps, etc. Altogether, the different beats make a glorious addition to the song. Watch and be mesmerized here! This was the first song that new bass Matt Sallee was involved in, and his bass notes are deep and gorgeous. This cover follows the traditional song, but is given a new beat to change it up and make it fun to listen to. Watch it here! Everyone loves great music, and Pentatonix is an amazingly stunning musical group! They each have stunning vocal skills and they work together to create beautiful pieces of music. Listen to some of these songs and more of theirs! Happy Holidays!